Blackhawks fired Joel Quenneville, plus game recaps players of the week, Brendan Lemieux suspended, and more trouble for the Senators in the NHL morning coffee headlines. SPECTOR’S NOTE: This is a major move by the Blackhawks, who are struggling to regain their once-dominant form. Under Quenneville, the Hawks won three Stanley Cup during his 11-year tenure. Since their last championship in 2015, however, their fortunes have steadily declined, missing the playoff last season for the first time in a decade. In my opinion, Quenneville is paying for management’s sins. Limited salary-cap space in recent years depleted the Blackhawks’ depth, giving him less talent to work with compared to previous years. Given his experience, he probably won’t be unemployed for long. Colliton is earning a quick promotion from the head coach of the Blackhawks AHL affiliate in Rockford, where in his first season (2017-18) he guided the IceHogs to the third round of the 2018 AHL playoffs. NHL.COM: On Hockey Fights Cancer Awareness Night in Pittsburgh, New Jersey Devils center Brian Boyle netted a natural hat trick to lead his club to a 5-1 victory over the Penguins. Boyle was diagnosed with chronic myeloid leukemia on Sept. 19, 2017, but his condition is now in remission. Alex Ovechkin scored his 234th career power-play goal as the Washington Capitals doubled up the Edmonton Oilers 4-2. Ovechkin tied Marcel Dionne for eighth on the all-time list. Oilers center Connor McDavid scored to keep his points streak alive at eight games. Claude Giroux scored twice and set up another to lead the Philadelphia Flyers to a 5-2 victory over the Arizona Coyotes, snapping the latter’s five-game winning streak. The Montreal Canadiens overcame a 3-1 deficit to down the New York Islanders 4-3 in the shootout. Joel Armia tallied the game-winner while Max Domi rallied the Habs with a goal and an assist. Brad Marchand scored in overtime as the Boston Bruins edged the Dallas Stars 2-1, snapping the latter’s three-game winning streak. Calgary Flames center Sean Monahan, Vancouver Canucks center Elias Pettersson, and Tampa Bay Lightning center Brayden Point are the NHL’s three stars for the week ending Nov. 4, 2018. Winnipeg Jets forward Brendan Lemieux received a two-game suspension for an illegal check to the head of Florida Panthers forward Vincent Trocheck. TSN: A group of Ottawa Senators players issued a statement last night apologizing for critical remarks about assistant coach Marty Raymond that were caught on camera in an Uber vehicle and posted online. Matt Duchene, Chris Wideman, Chris Tierney, Thomas Chabot, Dylan DeMelo, Alex Formenton, and Colin White made the remarks in Phoenix on Oct. 29. Head coach Guy Boucher defended the players, offering support for Raymond, and calling the incident a privacy breach. SPECTOR’S NOTE: Some are pointing to this incident as yet another example of dysfunction in the Senators’ dressing room. This could also be simply a case of a few players blowing off a bit of steam. It was a private conversation recorded without their knowledge that shouldn’t have been publicly shared. It’s a reminder for players to mind what they say in public. THE TENNESSEAN: Nashville Predators winger Viktor Arvidsson (lower body, day-to-day) was placed on injured reserve. 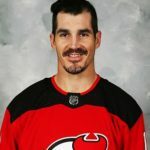 Great story for Brian Boyle, happy to see him excelling after all he has been through. I would love to have heard some players conversations in the days of the “dictator” coaches like Bowman, Imlach and Shore. Interesting peak into a conversation between some NHLers, but I don’t read too much into it. Who among us hasn’t complained about our boss(es) when we thought we were safe to do so? Lol Babcock, least they don’t take to social media to whine after winning for the most part…breaking news players get frustrated with coaching! Gee really? See what woukd happen if those were Leaf players talking about Babcock like that. When respect goes out the window (in this case out of the Uber window) the relationship and work culture is done. The easy thing woukd be to get rid of Raymond but that would send a message to those players that it’s ok to talk unprofessionally like that. Hopefully this was handled internally and Boucher disciplines them. Today on hockey central at noon the moderator asked “what ex-players at this table bitched about their coaches during their careers and both of the other panelists raised their hands – and as one said, the ONLY difference between many, many in the league over the years and this group is that this group got caught by today’s technology. So don’t think for a fleeting New York minute that there haven’t been bitching about Babcock – or any other coach that ever lived. It’s simply human nature. Babs has been quoted saying. “I remember Z getting mad at me lots….but I also remember him getting his name etched into the Stanley Cup for ever”. Z being Zetterberg of course. The same story the world over – there are three groups of players: the ones that love the coach, the ones that hate the coach, and the ones that haven’t yet decided. The coach’s job is to keep the third group away from the second. Mike Commodore? Who gives a Sh/÷÷. You don’t think any former Habs players bitched & meowed at former coaches? I bet most of the players on those late 70’s team’s wanted to kill him but, like Mike said… they got thier names on the cup. How many times must we go over your hatred. We get it, you despise everything along the 401 from Port Union to Dixie. Why dont you write a book on it you fuzzy sock sucker. As a Flyers fan I’m praying Hextall is already on the phone with Quenneville to replace that plug of a coach Hakstol. Nice to get 7 out of 8 points on the road trip but they’ll be losing again soon enough.